I was so spaced out last Friday that I parked my bike by the subway, put my helmet on the handlebars, locked up my bike and ran for the train. Leaving behind my helmet, of course. And guess what was still sitting on my handlebars when I returned a good 9 1/2 hours later? Yes, New York City has officially lost its edge. 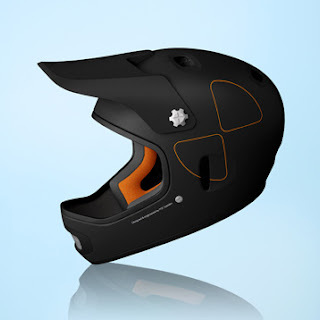 Or perhaps everyone else finds my helmet as ugly as I do. The helmet angels were with me that day, as later a similarly helmet-challenged co-worker pointed out a Swedish "helmets and armor" company called POC. 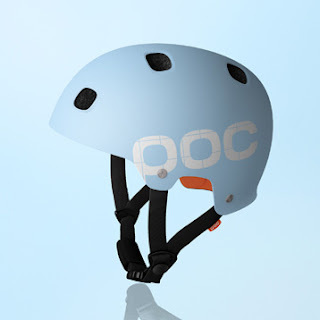 Known for its protective ski gear, I read on their site that POC will soon be in the bike helmet business also. Hooray, because their helmets aren't hideous but feature bright colors and what looks like retro styling. 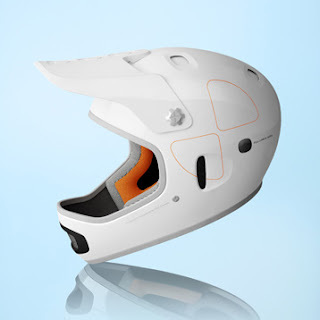 Although I prefer a neutral color, my riding skills are questionable so I should probably have a very fluorescent hue to save me from collisions with other moving vehicles. Update: POC now has mountain bike helmets, pics above. Looks like you can get them at Paragon Sports in the city. Wonder if we can convince Modell's on Broadway and 34th to carry?! 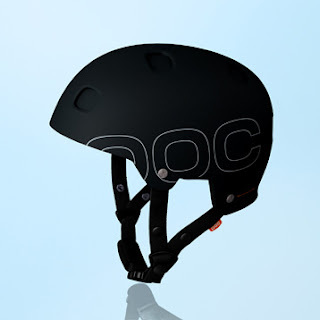 These make my bike helmet look positively SAD.